Although this may seem surprising to some, fantasy golf has been around for almost as long as fantasy football. The first fantasy golf event focused on a singular event. However, today there are several different leagues available for avid fans to take part in with several different sets of rules. 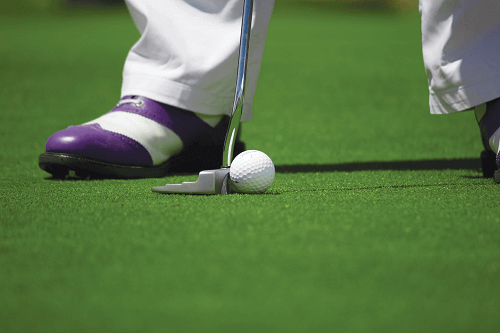 In our fantasy golf betting guide, we go through all the need to know aspects of these wonderful leagues that add so much extra excitement to the world’s most popular golfing tournaments. Fantasy golf works very similarly to other fantasy sports. Players are made to pick a couple of professional golfers from a line-up that will feature in an upcoming tournament. Each pro is given a specific price and players must create a team without surpassing the salary cap. (Fantasy golf player rankings are based on their past real-life tournament performances.) The number of golfers that can be included on the fantasy sports site the player is using. Most fantasy golf websites require that players choose between five and seven golfers. As with all fantasy sports, players earn points based on how the real-life player performs in the tournament. Typically, players will be awarded points when players score birdies, eagles, etc. during the tournament. However, points will be deducted for bogeys and such. A lot of sports fans love the fantasy golf betting format as it is so easy to follow. These leagues focus on men’s professional golfing tournaments, including the US Open and British Open, among others. There are loads of golf fantasy league contests the have different rules that make the game even more exciting. This includes rules that focus on career grand slams as well as single tournament games, just to mention. Overall, watching any event on the PGA Tour while being part of fantasy golf league just makes it more exciting. The viewership numbers of LPGA Tour events are steadily increasing each year. Thus, it makes sense that many fantasy sports betting sites would offer keen fans the chance to compete in fantasy golf leagues based on these events. Avid fantasy golf players are now able to join even more leagues based on this wonderful sport. We have a few general strategies players can employ while participating in a fantasy golf league. Before we get into it, we must state that it is important to remember that each league has its own set of rules, so these are just some general tips to keep in mind when joining a new game. We’ve mentioned it before on other fantasy sport pages, but players must think about whether they will be able to sustain interest in the hobby before picking leagues they’d like to join. If you know that you don’t really watch all golfing events, it doesn’t make sense to join a season long league. In such cases, rather try to join a league that focuses on a singular tournament. If you know that you are in it for the long haul, you may want to have a look at a particular site’s Grand Slam leagues. If you’re an avid golf fan, you’ll know that winning a Grand Slam is pretty much the aim of every professional golfer as it means winning every single major tournament in a single calendar year. Players are able to win cash prizes after each Grand Slam tournament and may win an even bigger prize at the end of the season if one of their selected players are successful in winning the Grand Slam. Players who enjoy joining season leagues should keep up with the performances of players in each tournament. This is because many of the most popular leagues allow players the opportunity to select new players at the beginning of each new major professional tournament, meaning a good chance to capitalize on a specific player’s good form.